Ghulam haider wyne was a great personality in the political history of Pakistan. Important part about Wyne , He was came from a lower middle class, before starting of his political career he was served in several labor job. He was born in 1950 in Amritsar in Indian Punjab. It’s been told that he was a high school student when his family was migrated after independence of Pakistan. Wyne was belonging to such a poor family that he cannot continue his study after his matriculation due to financial issues. He was started job after his matriculation as stenographer from where he was started his political career, also from where he was up lifted to chief minister of Pakistan. Wyne was remained chief minister of Punjab and leader of opposition in Pakistan. He was started his political debuted career as an ordinary worker, after election of 1961; He was elected as the BD member and general secretary of Pakistan Muslim League (PML) Punjab. this was the starting time of Wyne and during his career he remain very untraditional , neat clean and uncorrupted which this was very unusual comparing him like other politician , who were mostly corrupt and crooked. He never plundered national wealth like other politicians. During the Autocratic period of Ayub Khan, various fraction of Muslim lea League allied after the disintegration of Pakistan. From then on, he experienced each and every slot of the political system. The sheer shard work made him an integral part of Pakistan Muslim League. His hard work bring to the stage of ministry , he became the first chief minister of Punjb from his city Mian Channu in year 1990 to 1993.when Government of Nawaz Sheef (PML) was decayed and Ghulam Ishaq Khandissolved the assembly, he was removed from government and brutally murdered in Talumba a small town near to his city Mian Channu. 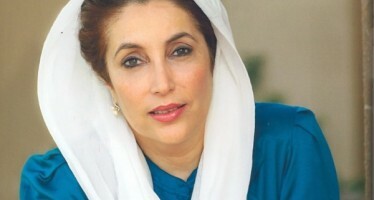 BENZIR BHUTTO: First Female Prime Minister (1953-2007) Early Life: Benazir Bhutto was the very famous and adorable personality of Pakistan. 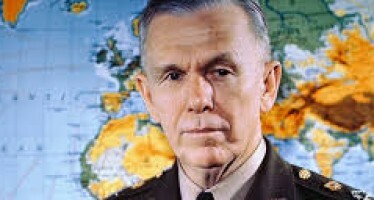 Biography of the Great President of America George Marshall.